As a local authority our responsibilities relating to air quality management come from legislation laid out in the UK Air Quality Strategy. There are currently three air quality management area’s (AQMA’s) designated within South Oxfordshire. These are areas where the levels of pollutants in the air have reached those identified by the government as harmful to health and are in breach of what is called the ‘national air quality objectives’. Air pollution levels have been monitored in Henley since 1998 and due to levels of NO2 exceeding the national air quality objectives, an AQMA was declared in 2002. 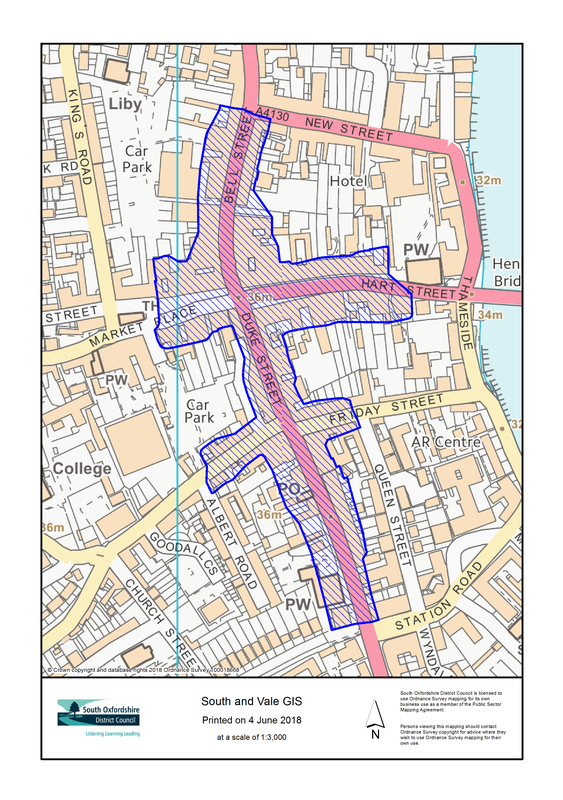 The air pollution problem in Henley is not unlike many others across the country in that it comprises a busy road network and relatively narrow streets which serve to prevent the dispersion of pollutants therefore trapping the pollution at street level. Air pollution here has also been monitored since 1998. An AQMA was declared in 2005 again as a result of NO2 levels exceeding the national objectives. The air pollution problem in Wallingford is attributable to the traffic congestion along narrow streets lined with high sided buildings which leads to the creation of a ‘street canyon’. Again the street canyon effect means that the pollutants are unable to disperse and are trapped at ground level. 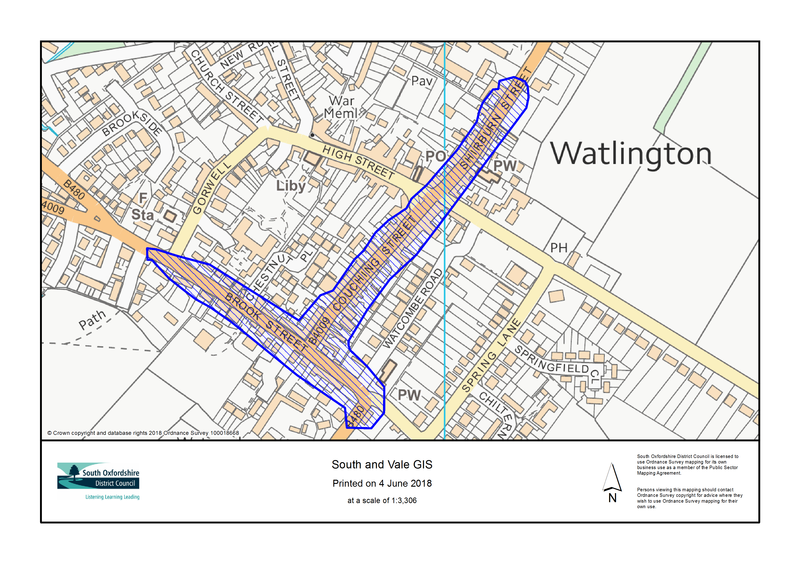 Air pollution monitoring in Watlington commenced in 2003 with an AQMA designated in 2009 due to NO2 exceedences. 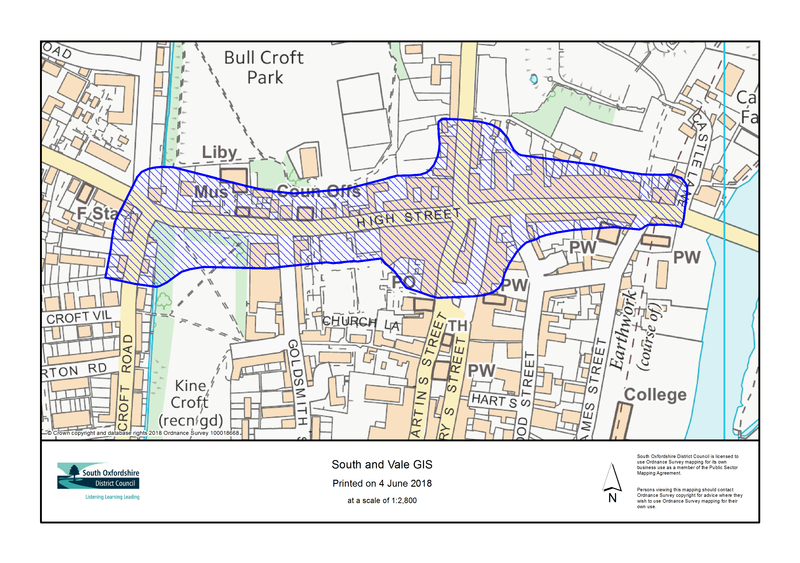 The air pollution problem in Watlington is again based on congestion levels in an area of narrow streets and relatively high sided buildings creating a ‘street canyon’ effect with pollutants unable to effectively disperse. In order to improve air quality both within these areas and in the district as a whole, we have produced an Air Quality Action Plan. This provides the mechanism by which local authorities in collaboration with national agencies and others, state their intentions for bringing about air quality improvements. South Oxfordshire has also produced a Developer Guidance document in fulfilment of one of the action plan measures. This guidance aids developers and planners alike in assessing the air quality impacts of a development and any associated mitigation that may be required to help offset the effects of a given development. Ultimately it aims to achieve sustainable development in the district that achieves the best balance of social, economic and environmental considerations. As a result of a further successful DEFRA bid in 2014 the creation of a LES and associated modelling was completed in 2015, showing that if all the measures are implemented then the improvements to air quality would mean the AQMA’s in Wallingford and Watlington could be revoked and the Nitrogen Dioxide levels in these towns would be within the national objective levels. Implementing a low emission freight and bus strategy. Each of these themes are not separate but overlap and will work together as a coherent whole to provide an effective LES. For example, the electric vehicle strategy will use planning and procurement powers to promote the uptake of vehicles, and the low emission behaviour theme includes eco-driving and anti-idling campaigns that will also be reflected in the bus and freight emission strategies.